On behalf of admin of JML Law, A Professional Law Corporation posted in Defamation on Friday, Sep 29 2017. Almost every one of us has been the subject of gossip. People are talking behind our backs throughout our entire life: workplace, neighborhood, school… Even 5-year-olds in kindergartens gossip! Most gossip does little to no harm to your reputation, as most people are capable of telling the difference between true and nonsense, bizarre statements. But sometimes gossip takes a much more dangerous form and turns into defamation. In case of defamation, false statements threaten not only your reputation, but also your livelihood and career. In fact, it’s not uncommon for victims of defamation to fall to the very bottom and seek psychiatric treatment and/or develop suicidal thoughts. So what should you do if your reputation has been defamed? Should you ignore it and let it run its course? Or are there legal ways to confront defamation and sue the ‘original source’ of the false statements? Is it possible to win defamation claim in Los Angeles? First of all, it’s vital to understand what defamation is. Defamation of character describes false statement – written or spoken – about an individual and is harmful to his/her reputation or livelihood. 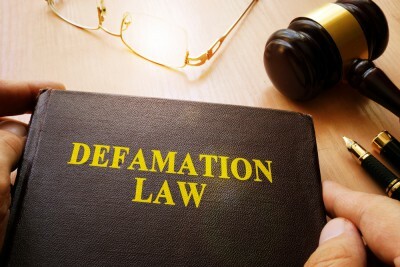 There has been a 40% drop in issued defamation claims in recent years, largely due to the fact that it has become extremely difficult to prove defamation of character in court. However, with an experienced Los Angeles defamation attorney winning a defamation claim in court is not a pipe dream. Ask any celebrity in California. In fact, just earlier this month, Oscar-winning director Mel Gibson filed a lawsuit in Los Angeles deferral court accusing a film production company of defamation and copyright infringement. And there’s a high chance Gibson will win the case. Well, so do you! Here at JML Law, we will treat you like an A-list Hollywood celebrity. We’re a well-established law firm that has fought tooth and nail for our clients in court for over 35 years, winning defamation cases one by one. We’ve secured millions of dollars in compensation for our clients in defamation lawsuits. As long as the truth is on your side, winning a defamation case in Los Angeles is possible. Call JML Law at 818-610-8800 today and let the world hear your truth. What do I need to prove to recover my reputation? prove that the defamatory statement has done actual damage to your reputation, character, or career. It’s almost impossible to prove all of the above-mentioned elements on your own without consulting a defamation lawyer in Los Angeles. In fact, it’s vital to know all federal and state laws in California in order to obtain the maximum compensation. Contact JML Law’s Los Angeles office at 818-610-8800 to get a free initial consultation. We will represent your best interests to help recover your reputation and punish the source of defamation.